In the poem I refer to “vain” people. But truer than that, is the plight of those completely identified with their physical form and thoughts. Before some degree of the realization of being, of the body as a vehicle for consciousness to enter the world of form, the physical world can be a terrible burden. After all, bodies are vulnerable, and inevitably subject to decay. While matter doesn’t disappear, it always changes form, manifests as something new. For the one all wrapped up in the fears of the physical world, peace and joy are always just beyond reach. Fear is always just a bit too weighty. The flamingos on TV were beautiful. But what is it like to be a bird that doesn’t fly? What is it like to be a human identified with forms and thoughts? It is to leave the highest manifestation of your being unrealized. Your highest potential inoperative. 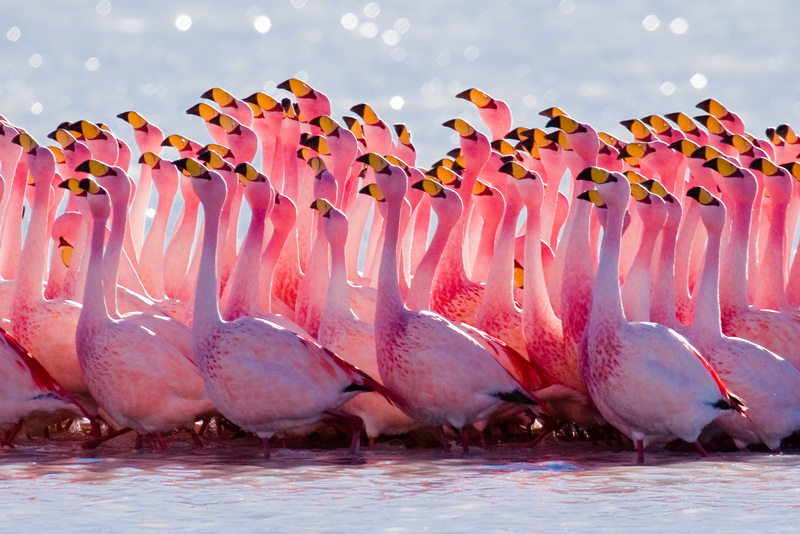 When those flamingos change form, they will soar to previously unimaginable heights. When humans change their attention from form, to presence, there are no more barriers, only an endless sea of dreams come true. So sad and true! Great word for today and every day really. I hear so many people give up on themselves as they resign themselves to a thankless job because their too scared to take the risk of following their dreams. Thank you! I love reading your comments and insights, I really appreciate your presence here!